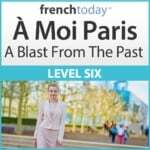 I hope you enjoy these lists of French tool & repairs vocabulary. Please feel free to add relevant tools, renovation, repair related vocabulary (in French and English please) in the Disqus section below and I will add them up to the lists. Merci! And now to practice this French tool and house repair vocabulary, I invite you to read my French / English bilingual story about renovating a house in France.